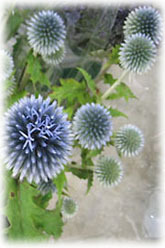 The Canadian Institute of Floral Design is pleased to announce the establishment of an International Educational program. The program has been developed in response to a growing demand from around the world to provide training at professional level standards in floral design. Building on the highly regarded format currently taught at the facility in Toronto, the International Educational program has the capacity to educate at both the foundational and advanced level through an intense short term time frame on location around the world. The world wide floral industry is continuing to experience strong growth and CIFD is proud to take a leading role on the international scene to train and educate professional level floral staff. Visit the satisfied graduates in Dubai. 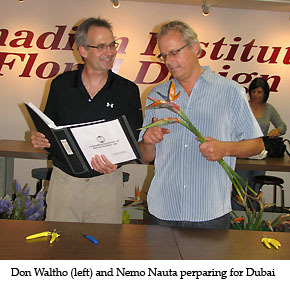 The Canadian Institute of Floral Design (CIFD) headquartered in Toronto is currently finalizing plans in preparation of taking their Professional Floral Design and Advanced Floral Design Programs to Dubai , United Arab Emirates .This new undertaking has provided CIFD with an opportunity to develop the core educational and design program to fit the needs of students and business owners around the world. The request to CIFD came as a result of one of the largest florist chains in Dubai UAE encountering difficulty in recruiting suitable, well trained and educated floral design staff. Although currently with a staff of seventy floral employees, their business requires a high calibre of design capabilities to serve their clients in the five and seven star hotel district in Dubai . “Our organization has specialized in professional floral education in Canada for over twenty years, successfully providing training to some of the largest floral retailers and wholesalers. We are committed to providing the industry with skilled floral design staff and feel this expansion to teach internationally is consistent with our mission statement”, says Donald Waltho, founder and Managing Director of CIFD. Inta Taurins, an instructor at CIFD feels “it is a wonderful opportunity to have a Canadian educational facility invited to the other side of the world to share the joy of working with floral materials considering the unfortunate number of conflicts in the region. Our industry communicates through floral products and materials and know this exchange will be very worthwhile for all involved’. In preparation for this new educational development CIFD has invited two new design instructors to the faculty. Nemo Nauta is a Floral Art Dutch master from the Netherlands . 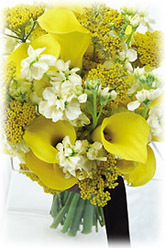 His floral career spans over thirty years in the industry, winning many design awards. Although his home base is Toronto , he is in demand for both his design abilities and consultation across Asia, Europe, South America and Australia . Don Waltho and Nemo Nuata will also be touring the Hortifair in Amsterdam with a group of student-florists from Dubai at the conclusion of the training period. The theme for this year’s International Hortifair is a focus on water and energy. The exhibition is being held from Tuesday October 9th through to Friday October 12th in Amsterdam RAI. The Horti Fair attracted 50,000 professionals in recent years from all over the world.